Cheteshwar Pujara was the lone warrior for India as he dug in, soaked up all the pressure, played Nathan Lyon with precision as he scored his half-century which kept India somewhat in the contest. Indian captain Virat Kohli won the toss and elected to bat first on a flat Adelaide pitch. However, it was a bleak start for the visitors as KL Rahul was dismissed in the second over of the day as he looked to drive Josh Hazlewood on the up. Murali Vijay departed next as he nicked Mitchell Starc to Tim Paine. Out walked captain Virat Kohli and the Aussies knew it was the prized scalp. Pat Cummins was introduced into the attack in the 11th over of the innings. He bowled a delivery full and wide of off stump, Kohli could not resist the temptation to drive as he went after the ball. However, he nicked the ball and it flew to Usman Khawaja at gully who flew towards his left, and even as the ball went past him he pouched an absolute stunner. 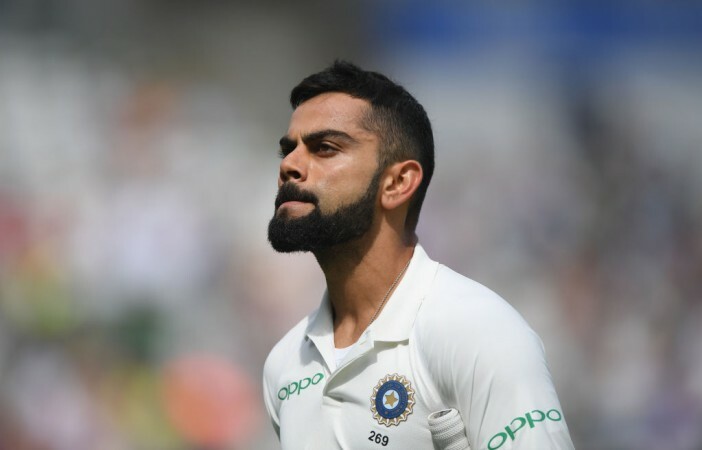 It was a critical moment in the day as Virat Kohli was left stunned and India were on the mat on a surface which had minimal assistance for the bowlers. "We would have batted as well, some damp spots and we will look to make the best of that. Nice to start in Adelaide, we will look to do our best. We think 3 pacers and Nathan will do the job, they are pretty fresh and we have a all-round attack. We expect the batsmen to stand-up, we have good players who have done well domestically over the past five-six years," Australian captain Tim Paine said at the toss. The other Indian batsmen will definitely be very disappointed with their strokes as they all perished trying to force the issue. There was no attrition on display and this has certainly put Australia on top. Pujara showed that there were no demons on the surface and he played with patience and perseverance.